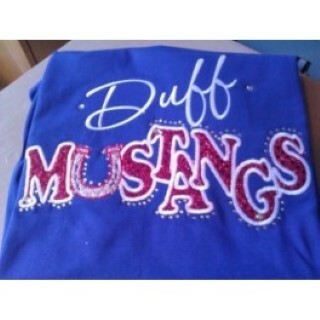 Custom Mustang Applique. 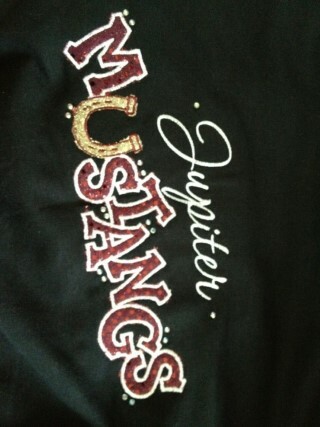 The word Mustang in applique letters with the U as a Horseshoe. Tell us the school name, colors of your school, the apparel color - and if you want bling or not, and we will take care of the rest. Not your mascot - let us know what you would like - we do all custom orders!